Now that Facebook is fully supporting custom iFrame tabs and phasing out FBML and the Static FBML support, many page admins are wondering how best to add functionality to their iFrame tabs. For example, how do you add popular FBML tags that facilitated interaction on Facebook, such as Reveal/Fan-Gating, Multi-Friend Invite, Share button, Like button and Comments. 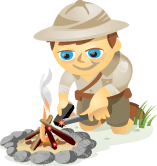 Facebook Social Plugins to the Rescue! Fortunately, a subset of the XFBML tags (a.k.a. Social Plugins) intended for use on websites to integrate them into Facebook’s “social graph” also work great on iFrame tabs. Now page admins can simply add a free iFrame tab application to their page, which makes adding a fan-gating feature very easy, and they can add Like buttons, Send buttons and/or Comments boxes to their tabs. In this article, I’ll explain how to add these three social plugins to your custom iFrame tab. Generating the XFBML Tag code — Facebook does it for you! If you’re generating the Like button without the Send button, make sure you copy the XFBML version of the code (NOT the “iframe” version — it won’t work) to your clipboard. The Like button popup dialog box displays both iFrame and XFBML. USE XFBML! The Like button is easily the most popular of the social plugins. You can have as many Like buttons on an iFrame tab as you want. 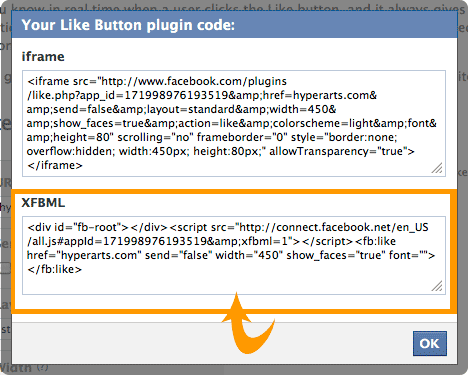 For each Like button, you can specify a target URL, which can be a Facebook fan page or any other URL on the web. However, you cannot link to a specific fan page tab, only to the fan page itself. Popup dialog when a user clicks the Like button. What shows up in a user's news feed and wall if a custom message is added to the Like dialog. The image below is a wall post where the URL for the Like button has a meta-tag that specifies an image (“image_src”) as well as a “description” meta-tag that supplies the text below the link. On April 25, 2011, one year after the introduction of Social Plugins, Facebook rolled out the Send button. The Like button paired with the Send button. Clicking on the Send button pops the above dialog. 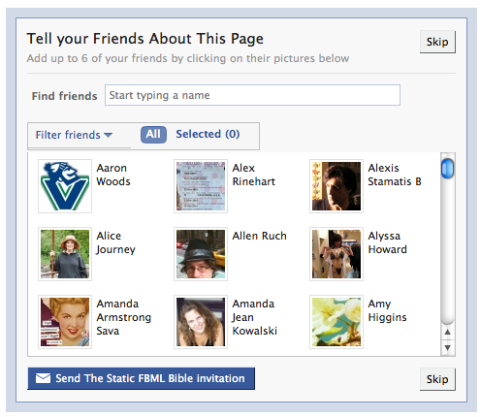 And there was the “suggest to friends” text link near the top of the right column that popped a similar dialog box. It’s actually still there (! ), and you can select friends and click “send recommendations” … but the message never arrives. The Send button now brings this feature back to Facebook pages, but much improved. When a user clicks the Send button, a dialog pops up (as shown below) where users can enter their friends’ names, Facebook groups or simply email addresses, and whatever message they send, plus the specified target URL. If sent to friends, they receive a Facebook message that includes your comments, the image associated with the URL and description (derived as described above for the Like button). If sent to a Facebook group, the message appears on the group’s wall. If sent to an email address, the recipients receive an email with the subject line “conversation with [your name]”, your added message and the URL. 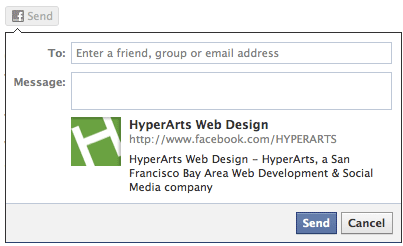 Send button dialog: Enter Facebook friends, groups or email addresses. Facebook’s comments box social plugin allows you to add a Comments box similar to the old FBML fb:comments tag, but much better, as it allows threaded discussions, and more closely replicates the wall. 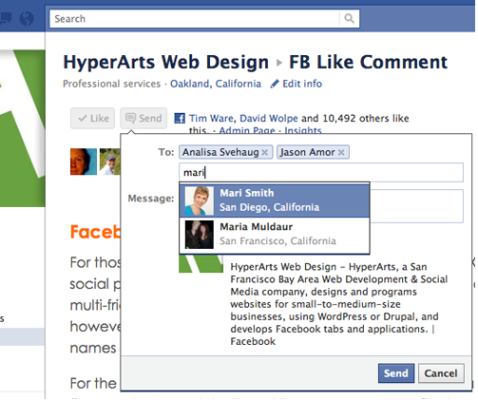 Unique from the Like and Send buttons, you can specify a Facebook tab URL for each Comments box you create. Clicking "Get Code" generates the XFBML you need for your tab. There are a number of moderation features when using this plugin on an external website, but these don’t seem to be available when the Comments box is on an iFrame tab. These new and enhanced tags are just the beginning. I imagine that page admins will see a number of social plugin enhancements in the coming months. And we won’t be missing FBML at all! What do you think? Do you have any specific social plugins you’d like to see that haven’t been developed yet? Leave your comments in the box below.